Based on the remarkable true story, Disney new release "The Finest Hours" takes us to the U.S. Coast Guard in in Chatham, Massachusetts. On February 18, 1952, a massive northeaster struck New England, pummeling towns along the Eastern seaboard and wreaking havoc on the ships caught in its deadly path, including the SS Pendleton, a T-2 oil tanker bound for Boston, which was literally ripped in half, trapping more than 30 sailors inside its rapidly-sinking stern. The storm arrived to deal with all ships around without showing any mercy. 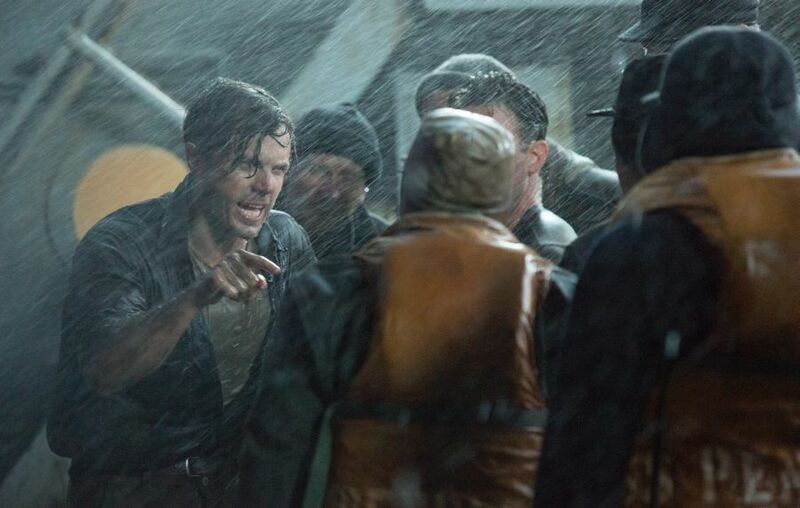 The senior officer on board of SS Pendleton, first assistant engineer Ray Sybert played by Casey Affleck realizes that he has to take charge of the frightened crew and inspire the men work together to ride out one of the worst storms to ever hit the East Coast. The team has to keep the half of the ship afloat as long as possible and wait for help or miracle to happen. Snow, wind, cold, dark around and the half of the ship struggle to keep alive in this fierce weather. The crew manages to do everything possible, making the pump working, navigating through the storm and most important communicating when all the lines in the ship are broken. No phones, computers, signs or anything to communicate and evaluate the surrounding on the boat level, only people standing at the distance they can hear each other and shouting the numbers and instructions. Meanwhile, as word of the disaster reaches the U.S. Coast Guard station in Chatham, Warrant Officer Daniel Cluff orders a dangerous operation to rescue the SS Pendleton crew. Four men, led by Coast Guard Captain Bernie Webber played by Chris Pine, set out in a small boat to find SS Pendleton and save people. Through frigid temperatures, high waves and hurricane-force winds I think the saving mission was in danger itself. Four men in a boat were so close to the thought to give up and get back to the shore without finding SS Pendleton ship. Their struggles were obvious as the fierce ocean and storm are not making any difference what ship is there small or big, only little hope of people can overcome everything. Saying about effect, I admit that the ocean, wind and waves look impressive in 3D, especially when the boat try float through and keep up. It was pure luck how Bernie Webber team found the tanker, since they lost communication with the coast in the middle of the mission. When finally what is left after SS Pendleton was found, the crew of 32 people manage to get on a little boat which is intended for much less capacity and not without accidents. I had a feeling that the SS Pendleton team was more upset with saying bye to their ship than the fact that they were saved, it was somewhat personal only marine people can understand. The way home to the coast was filled with fewer adventures except severe cold and freezing temperature that made everyone squeeze and hope they get home safe. I like how the story is presented in the movie - songs, marine theme, boats, lighthouses, visual effects, design characters outfit and songs. And I would be more than happy to see more romance scenes, love and support, just to be it like in a real story or may be how I expect it to be. Right now I do not remember anything supportive except rosy chicks of Miriam played by Holliday Grainger, though she could bring much more to this incredible story. "The Finest Hours" is one of those stories everyone remembers for a long time, they become a legend and shared many years and centuries. It has that warm feeling home, family and support when you need it the most. 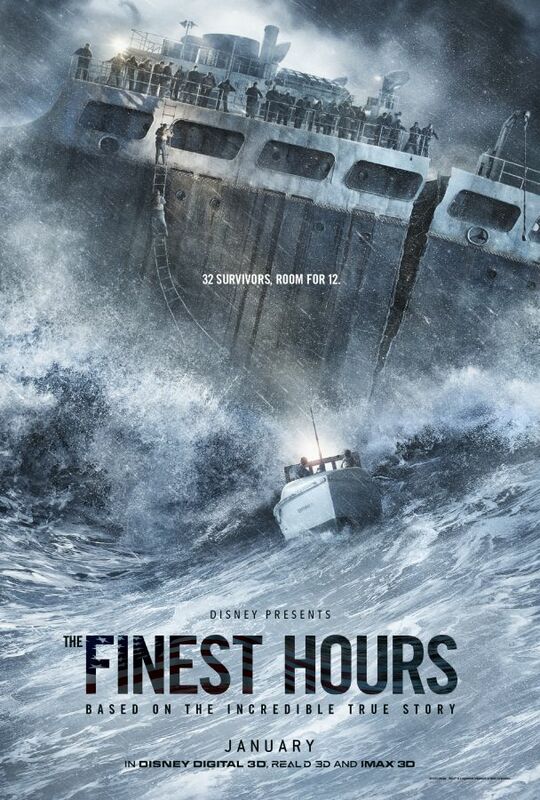 "The Finest Hours" storms into theatres today, January 29, 2016.